Lee is thrilled to be creating his second consecutive Ryder Cup poster for the 2018 biennial match. This year’s Cup will be in Continental Europe for only the second time in its history, hosted by Le Golf National in France. 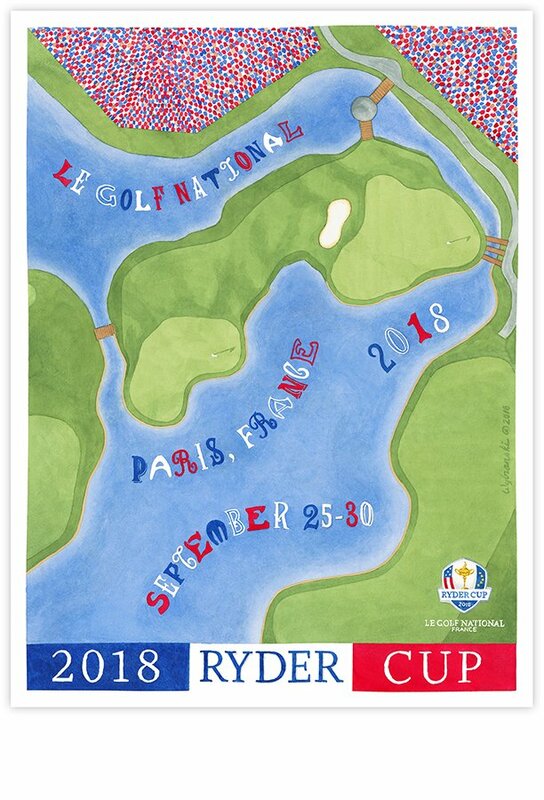 Lee’s “Ryder Cup Paris” poster is unlike any Championship poster he has produced so far and features an abstract aerial view depicting the precarious 15th and 18th greens, and typestyles that are distinctly Parisian.